Earning a nursing scholarship may open the doors for one to earn a degree in a career which focuses on caring for patients in hospitals, clinics, hospices, government agencies, or corporations. There are many different kinds of nursing degrees including an Associate Degree in Nursing (for Licensed Practitioner Nursing), Bachelor’s of Science in Nursing (for Registered Nursing), Master’s of Science in Nursing and Doctorate Degrees in Nursing (both for Advanced Practice Registered Nursing). 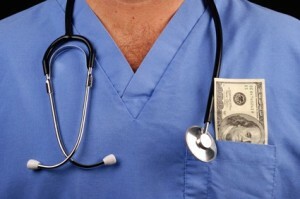 The best nurses earn $75,000 on average per year. Two of the leading colleges in earning nursing degrees are John Hopkins University and Duke University. The cost of nursing school can be a deterrent to some students. The lowest costs incurred would be between $1,500 and $3,000 per semester at a community college for an Associate Degree. A Bachelor’s Degree in a Public University costs approximately $26,000 while the same degree in a Private University costs on average between $90,000 and $100,000. Online programs require a payment between $100 and $150 per credit, averaging around $20,000 in total tuition costs. A Master’s Degree can cost as much as $100,000. An Online Program of course offers someone the chance to save on costs such as parking and lunch. It allows all kinds of pupils, including shy ones, to participate as discussions are mostly on online forums. However, an on-campus program allows someone to interact directly with the teacher and be more involved in education via the school library, fairs, etc. Many kinds of scholarships are available in each state to pupils who plan to or are already pursuing an Undergraduate Education in Nursing. Described below are some examples of some specific scholarship opportunities available to nursing students. Some scholarships are limited to some high school applicants. For example, The George Snow Scholarship requires applicants to at least be in their senior year in Palm Beach County or North Broward County High School in Florida. The applicant should not be from a family who can provide for the applicant’s needs adequately. Also, the pupil must participate in many activities in his school and in his community and show strong desire for education along with plenty of ambition. The Melissa Anne Centrella Scholarship is awarded to students in New Jersey. The scholarship pays between $1000 and $2000. To qualify for this scholarship, the student must have a GPA of at least 3.0, be involved in many community services and be pursuing a career in nursing, medical science or another medical technical field. The applicant might also have to give an interview. Western Governors University provides Future of Nursing Scholarships of up to $5000 to students obtaining an online Master’s Degree in Nursing. $1000 dollars is put into the student’s account every six months. The scholarship does take into account the student’s academic record, online readiness for education and financial need amongst other factors. There are pros and cons to every scholarship ,of course. Some scholarships come with a contract commitment to work in a certain hospital for a certain number of years. Also, scholarship recipients usually have to maintain a certain Grade Point Average to keep the scholarship. On the other hand, nursing scholarships are available for everyone including the disabled (ExceptionalNurse.com), the financially disadvantaged (Disadvantaged Faculty Loan Repayment Program) and minorities (Chi Eta Phi Sorority Inc.).